This exhibition reveals how Cézanne used portraiture to develop both his technique and his relationship to subjects. 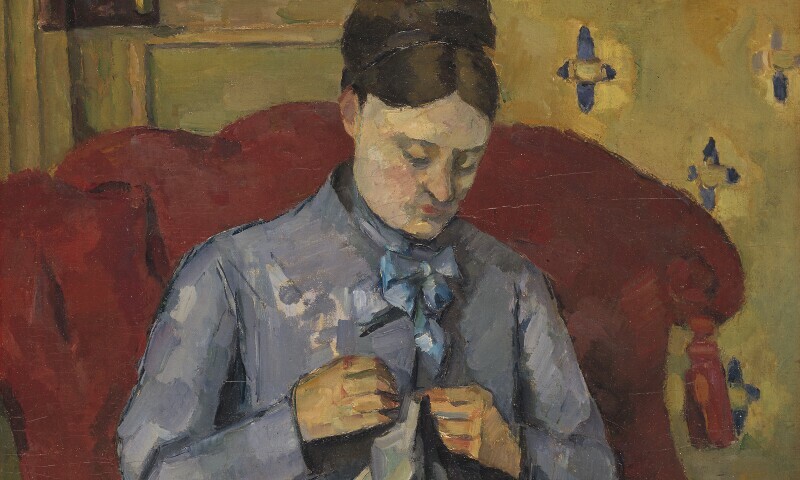 “More than his landscapes and still-lifes, Cézanne’s portraits serve as markers or milestones in his long and prolific career, allowing us to ponder his perception and manipulation of the creative process and the genre,” says Mary Tompkins Lewis, author of a book of highlights from the exhibition, Paul Cézanne: Painting People. Crucial moments in the artist’s early career, such as a series of paintings depicting his uncle Dominique from the 1860s, make way for later portraits of his wife Hortense, and the residents of Provence where he spent his final years. These paintings transform the sitter into experimentations in volume and tone and, as Lewis says, attest to the way Cézanne “fundamentally transform[ed] the genre of portraiture in modern art”.